All Stars Media posted Thursday December 6, 2018. After a two weekend layoff the Mainline DynoLog Dynamometers All Star Series head to the Riverland region of South Australia for RD4 at Sunline Speedway, Waikerie this Saturday night. “Over the past 3 shows we have travelled to S.A, Victoria & N.S.W all following the Murray River and are now heading back into SA again. These shows are all part of our West Coast Concreting King of the River mini-series. Yes it’s a bit of travelling but we hope the couple of weekends off have given all our teams a chance to freshen up and catch up on whatever needed catching up on.” Mandy Searle says. Saturday night’s show will also incorporate the South Australian 360 Sprintcar Title and with a $1500 purse for the winner, second paying $1100 and third $900 it is pretty good incentive for the teams. “The South Australian Sprintcar Club have sourced additional sponsors for the show and thanks must be given to All States Auditing & Accreditation and Maxwill Racing Engines for coming on board to help out.” says Searle. Michael Tancredi’s V29 is showing a lot of speed under the wing of Crew Chief Guru Tony Bartlett will have his second run at Sunline. Tancredi has been on the podium twice already but he would love to take out the South Australian Championship and add to his collection of State title wins. Mark Caruso has slotted his 360 back in after running his 410ci engine last weekend at Murray Bridge. Caruso’s calculated driving style ensures he is always at the front of the field at the end of the feature. SA44 Daniel Evans is another that has shown increased speed this season and was unfortunate not to finish with engine failure while easily leading at Heartland in RD3. Hard charging Brendan Guerin’s SA96 is quite capable of winning, the same goes for SA90 Michael Lovegrove. 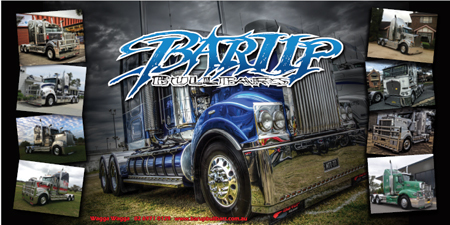 West Australian Jamie Landrigan and crew have made the trek across the Nullarbor to compete again. Landrigan actually lives in Port Hedland so it’s a long 4,000k trip for them. Landrigan ran last season at Waikerie and liked the little track so has made the trip back. Don’t rule out James Wrens V16, Jarman Dalitz SA95, Cody Atkins SA69, SA42 Jamie Hendry, SA8 Terry Pitt just to name a few more. A strong field of 18 cars will test their skill around the small 360mtr track and with it being 12 months since they last raced their no one will have a home track advantage. 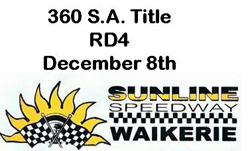 This is the opening show for Sunline for the season and they can be assured that the All Stars will put on some close and exciting racing for the night.